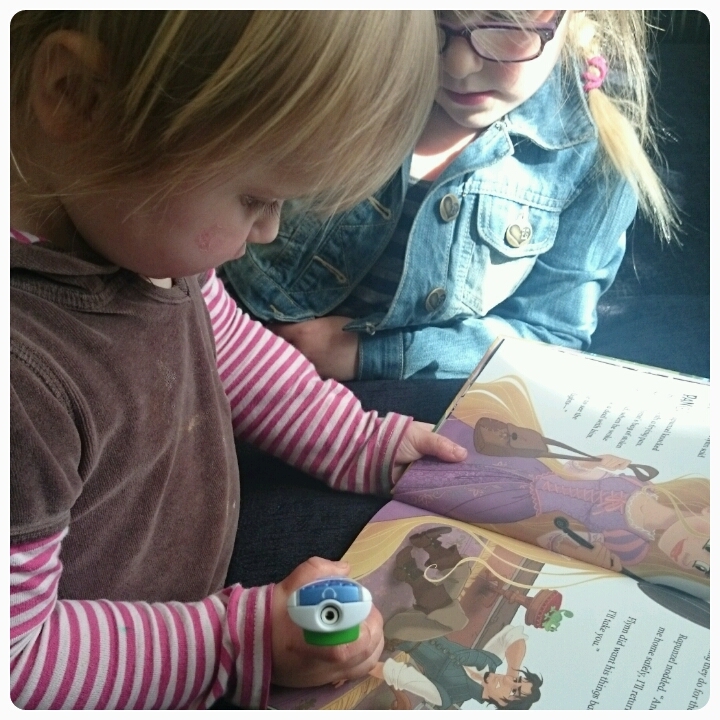 LeapFrog chose their Cindrella LeapReader book as their book of the month for April, this got my girls nodding in agreement, they love all things to do with Disney Princess. 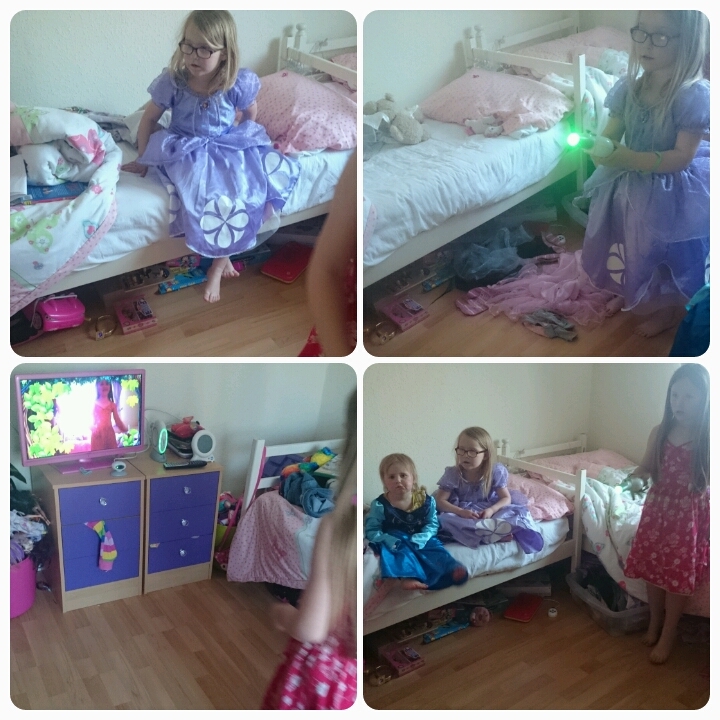 So to keep the Disney Princess love going, we were kindly sent the Disney's Tangled LeapReader book and Sofia the First LeapTV game to have fun with, both favourite princesses in our house so there was much excitement when these arrived in the post. We were also sent a LeapReader which I will be reviewing soon so look out for that but for now lets concentrate on the book. 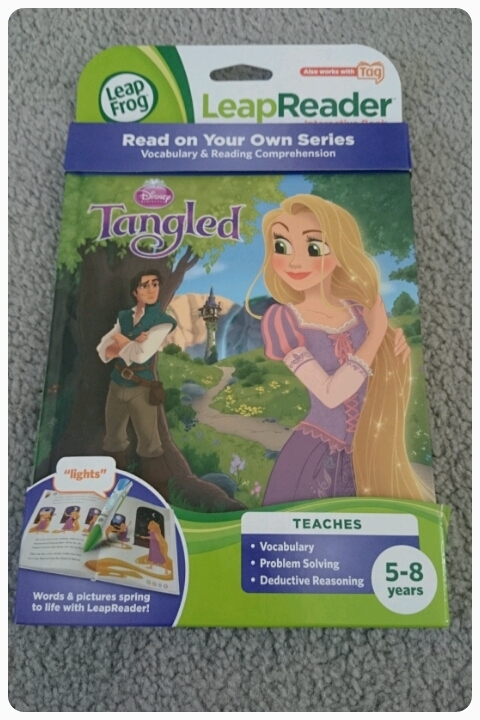 Aimed at children aged 4-8 this isn't just your typical Rapunzel story. 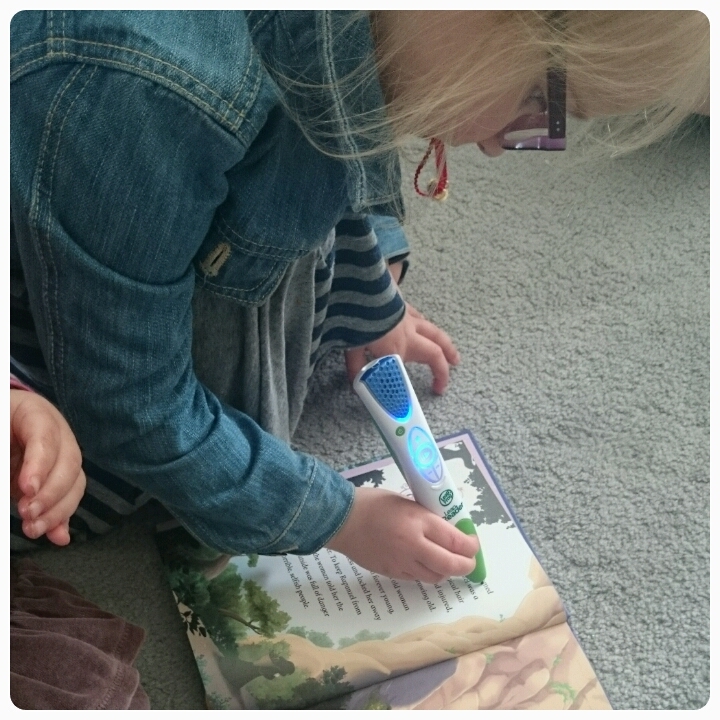 The LeapReader allows you to not only listen to the story narrated through the LeapReader itself but there also pages where you can choose your own words for the story, muddle it up a little if you will. There are puzzles to solve and questions to be answered. And because there are different responses this book is definitely re-readable!! Now I know this is aimed at slightly older children but my toddler was most keen to have a go herself, with a little help from her big sister of course. 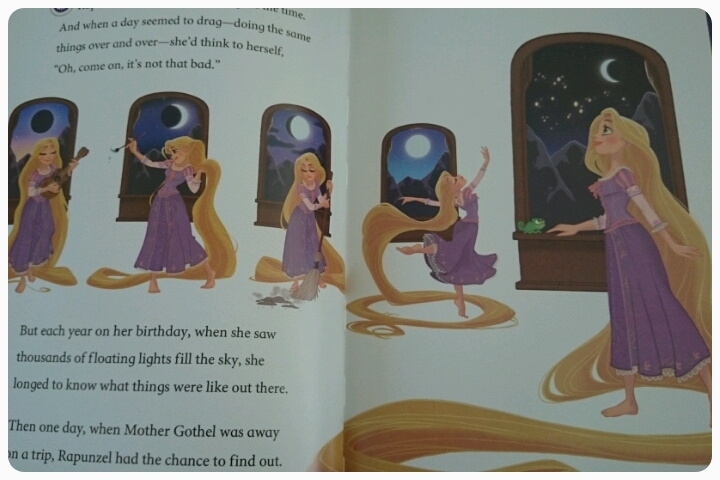 This book gave a great twist to the Tangled tale and is perfect for all Rapunzel (and Flynn) fans. 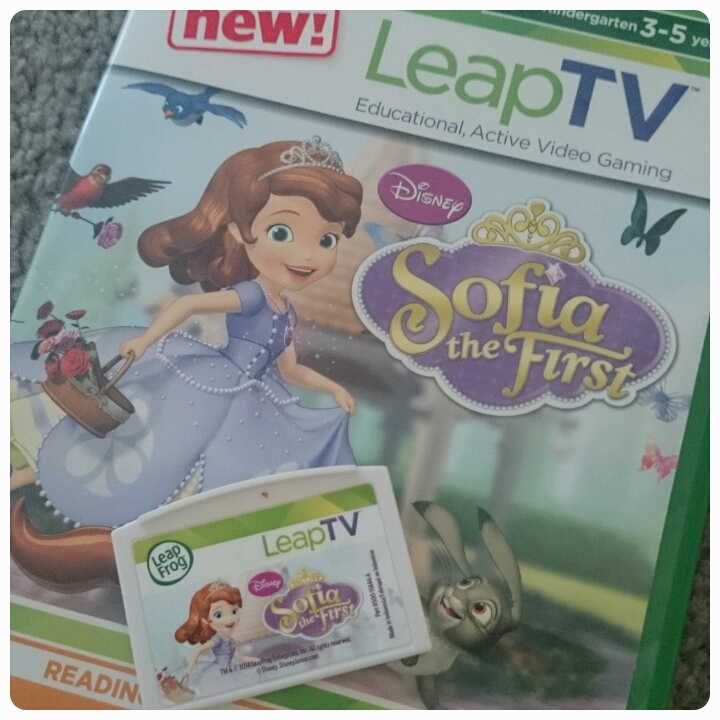 Now the LeapTV was a favourite of mine, educational and fun whilst allowing your kids to be active too, the Sofia the First cartridge game is a great addition to the girls collection. We received the cartridge but it is also available as a download. Aimed at 3-5 year olds, I have to admit it is actually my 7 year old who has spent the most time playing on it. This is an interactive game that is filled with racing, hopping, flying and sledding, lots of action going on. Each game encourages your child to use so many skills, but prodimently the theme revolves around letter learning. It gets your child listening and responding in a way that they don't even realise they are being taught something. 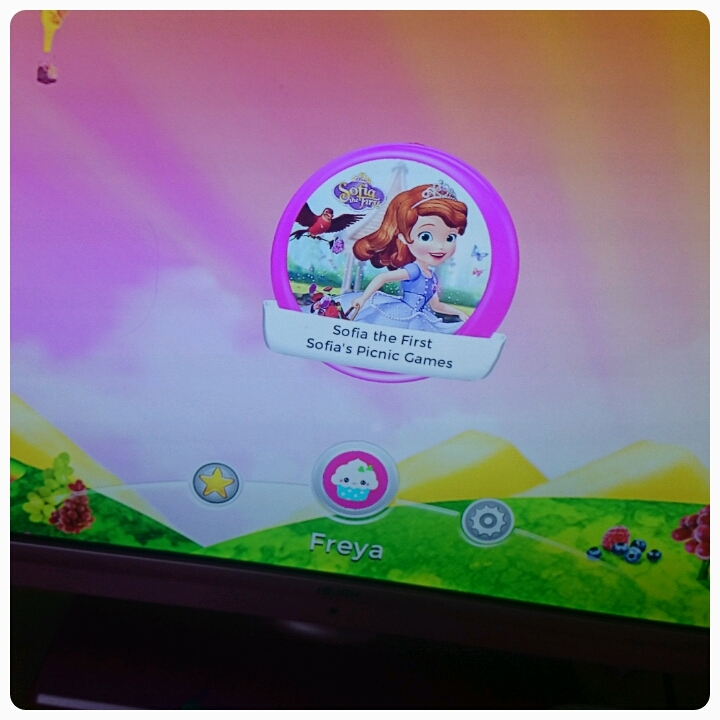 And of course this game is best played when wearing a Sofia costume!! The only complaint the girls had about the game is that it was only for one player, they would have loved it if two or more could have played together and if I'm honest I would too as it would've stopped the arguing over whose turn it was. We were definitely feeling the princess love, the only question left to ask, who's your favourite Disney Princess?? Disclaimer : We were sent these items FOC however all thoughts and opinions are my own. I'm sure this would be a big hit in our house too!